"DADiSP is simplicity in itself to use." The Department of Cardiology at the Long Island Jewish Hospital specializes in the care of diseased heart patients. The hospital accomodates people with heart cardiac diseases and irregularities. 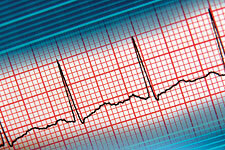 Life-threatening arrhythmia, or irregular heartbeat, affects 300,000 people per year in the United States alone. 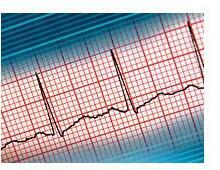 Arrhythmias vary from person to person, so a cardiologist needs as accurate a picture as possible of an individual's arrhythmia in order to treat it correctly. Dr. Steven Evans, at the Long Island Jewish Medical Center, heads a group that does just this kind of evaluation. His team records a patient's heart's electrical activity, extracts and analyzes the important part of the cardiac signal, then submits it to a neural network to ascertain what type of arrhythmia the patient has. Since processing data quickly is essential when patients' lives are in danger, it is vital for this team to have a tool that can meet sudden demands in emergencies, yet is accessible enough for several researchers to be working with it all at once.